The Oral Cancer Foundation estimates that over 9,000 Americans die each year from oral cancer, with almost 50,000 cases diagnosed. Like most cancers, early detection and dental treatment are the best chance for survival from this deadly disease. David Kurtzman, DDS, and his team care about your health and want to help you maintain your wellness. 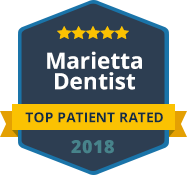 As part of our preventive services to care for your oral health, we offer oral cancer screenings at our office in Marietta. Dr. Kurtzman can perform a thorough oral cancer screening as part of your checkup. This exam can detect minor changes in the tissue that may not be noticeable to the eye by using specialized equipment. Catching these changes early and following up with your doctor for a biopsy and further treatment is important to protect your health and wellness. We care about more than just your smile – we want to help you live a healthy, long life. Dr. David Kurtzman and his team are here to help you maintain your oral health through preventive and proactive dental care, including providing oral cancer screenings. Contact Dr. David Kurtzman today to schedule your next checkup and ask to have your exam include an oral cancer screening. We accept many dental insurance plans and payment options are available.